Indications have emerged why the federal government is insisting on secret trial of former National Security Adviser, Col. Sambo Dasuki (rtd). It was gathered that former Nigerian leaders, traditional and religious leaders from across the country are on the list of those who benefited from the $2.1bn arms funds in the final report of the Presidential panel, which probed military contracts from 2007 to 2015. President Muhammadu Buhari after he assumed office in 2015, inaugurated a 13-man panel to probe procurement of arms and related military contracts between 2007 and 2015. The panel had submitted two interim reports, where several serving and retired military officers were indicted. A top source told Punch that some former Heads of State, were listed as having received various sums of money from the ONSA. The source added that a prominent northern traditional ruler was provided funds from the NSA’s office for the monarch’s coronation. The source explained that some were spent to pay the medical bills as well as travel expenses of some of the ex-leaders, who had to travel abroad to seek medical help for undisclosed aliments. The report stated that the ONSA shouldered the cost of the medical trips of one of the ex-Heads of State to Germany. 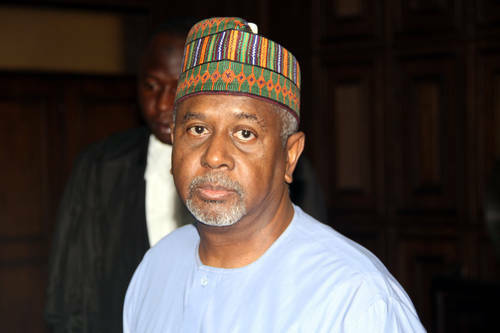 The source added, “The list of beneficiaries from the ONSA under Col. Sambo Dasuki is very long. “The list comprises very prominent Nigerians, including former Heads of State, many traditional rulers from the North and the South. “Several religious leaders from the two dominant religions in the country also got funds from the ONSA. It was learnt that the prosecution team was opposed to an open trial of Dasuki as this could result in disturbing revelations on how the $2.1bn under probe was disbursed. The arms panel also established that the procurement processes adopted for the purchase of military hardware were arbitrarily and generally characterised by irregularities and fraud.